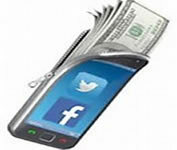 High Yield Money Market Investor Account - Contact us for Details! Welcome to Garden Plain State Bank. Garden Plain State Bank takes great pride in their customers, employees, and communities they serve. We are committed to helping our customers succeed by offering a wide variety of products and services to meet their personal and business needs. Our employees go the extra mile to meet your requests, provide outstanding customer service, and know each customer by name. Garden Plain State Bank also recognizes that its responsibility extends beyond providing financial services to the communities we serve and display good corporate citizenship by supporting local organizations that make a difference in the lives of the people in our communities. Garden Plain State Bank is a true Community Bank. Our owners, employees, depositors, and loan customers reside in the area, which means that earnings are invested in the local economy. Being a part of the community, the bank’s management team is always available to make quick, localized decisions. Garden Plain State Bank is large enough and has the resources available to meet your banking and business needs, but remains small enough to know you and your needs. Let the employees of Garden Plain State Bank show you what we have to offer and see for yourself why we have been a successful community bank since 1966. Paying bills is now much easier. 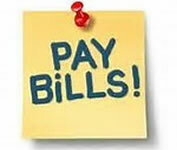 Login to your internet banking and click on GPSB Bill Pay to start scheduling your bills today. The new Garden Plain State Bank Mobile App is now available. Login to your internet banking and agree to the terms of Mobile Banking. The FDIC provides consumers with tips to protect themselves against identity theft, fraud, and scams. See how you can protect yourself by reading the FDIC’s suggestions at the link below.